One tyre. Four seasons, 365 days no tyre change necessary. The Marathon GT 365 is the first tyre which you will ride safely throughout the year in almost every condition. 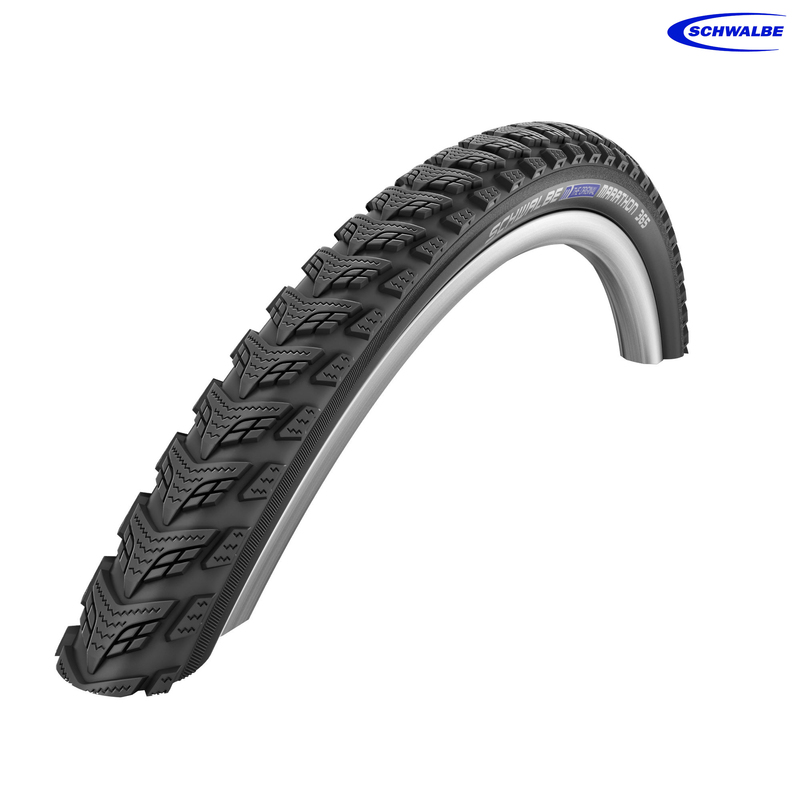 The new lamella tread and the specially developed "FourSeason" compound provide full grip, no matter what time of the year you ride your bike. Of course fitted with DualGuard puncture protection technology for maximum safety. Hi. Is this a similar spec to the marathon plus tour tyre and is it a 700 x 40c size. Yes the spec of the tyres are fairly similar, with the GT having slightly deeper tread. It is indeed a 700x40c size.